Planning to become pregnant is a very exciting time for woman and her partner. However, it can be quite daunting when trying to best prepare yourself, both physically and mentally, for the pregnancy journey ahead. With so many differing opinions online, as well as from family and friends, it’s understandable that women can become confused and very overwhelmed. It is important to remember that the best advise you can receive is from your your regular health practitioner and and from reputable online sources; it’s best to avoid unverified advice and old wives’ tales. At Unlimited Mom, we have done the hard work for you, by putting together a list of things to avoid in your pre-pregnancy planning stage, which will help optimize your chances of achieving and maintaining a healthy pregnancy. We all know that eating fast food is ‘bad’ for us, yet it’s convenience and addictive tastes seem to lure us back every time. 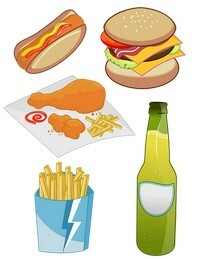 But how bad is fast food for us anyway and what makes it ‘bad’ for us? Fast food is often very high in salt and trans-fats which are extremely damaging to our cardiac, kidney and overall health. Our bodies rely on various healthy fats to help it perform essential bodily functions and to maintain optimal health. These healthy fats can be found in in avocados, olive oil, fish and unprocessed nuts. However, when the body is being fueled with trans-fats instead of healthy fats, these functions cannot be performed effectively. Instead, the trans-fats actually clog up our bodies and block the good fats from being able to perform their functions properly. This then makes it more difficult for essential nutrients to pass in and out of our cells and communication between our cells is disrupted. This can have a significant impact on our ability to conceive and maintain a healthy pregnancy. Foods and drinks with a high sugar content are a big no-no when you are trying to conceive. When refined sugar is consumed in high quantities, it causes the body to react by altering its insulin and leptin signalling, which can lead to insulin resistance; significantly increasing the chance of developing gestational diabetes during pregnancy. This can be dangerous for the mother, cause the birth weight of the baby to be very high and if not managed, lead to life-long negative effects for the child. Drinks such as sodas, cordials and reconstituted fruit juices are often filled with excessive amounts of sugar and should be avoided. It’s always important when preparing for pregnancy to check the sugar content of food and drinks before consuming them, with the aim to keep the total sugar content within the guidelines set by the American Heart Association. It might sound odd, but having too much of particular vitamins pre-pregnancy can be counterproductive. According to the Teratology Society, having too much Vitamin A in early pregnancy can lead to an increased risk of birth defects. They recommend that women planning to become pregnant should check their current Vitamin A intake which they receive from their diet, before deciding to take additional supplements. When trying to conceive it is important to avoid excessively strenuous physical activity and to keep your BMI in a healthy weight range. Having a BMI which is too low can cause amenorrhea; this which is when ovulation and menstrual bleeding stops. If this occurs, the the chances of falling pregnant will significantly reduce or cease completely. 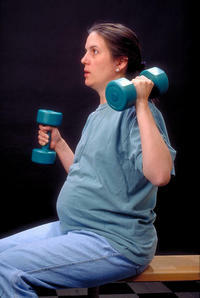 This exercise during pregnancy guide will help you learn more about this issue. When preparing for pregnancy, it’s important for the woman (and the man) to get their body into the best physical and mental condition possible. 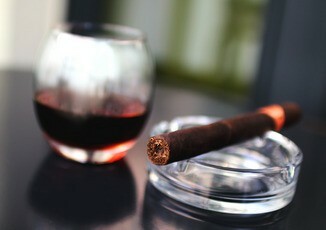 A part of this preparation includes letting go of vices such as smoking, alcohol and caffeine. Not only do these substances have a detrimental effect on your overall health and well-being, but they also have a significant impact on you ability to achieve healthy pregnancy. According to the American Society of Reproductive Medicine, women and men who smoke do not conceive as effectively as as those who do not smoke, experiencing infertility a double the rate of non-smokers. Similarly, alcohol consumption at pre-pregnancy and during pregnancy, is known to have significant detrimental effects on the unborn child. So high is the risk, that the National Health and Medical Research Council recommend that women trying to get pregnant should not drink alcohol at all. In addition, high levels of caffeine consumption, which is greater than one to two (8 oz) cups of coffee per day, can also have a detrimental effect on fertility for both men and women.